Start ’em young as our old man says. Brusko Barbers caters not only for adults but for tiny tots to young boys who look up to their old man. Boys whose age ranges from 6 months to pre-teens are the usual age that is brought for the Brusko Junior service at our kid’s hair salon in JLT. Brusko Juniors can be wiggly and shy and we are aware that this can be a challenge for parents and regular barbers. All we can do is to make the experience as comfortable as possible. 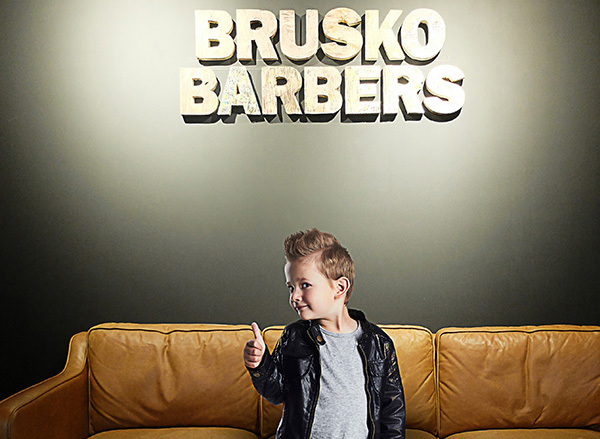 With our Brusko Junior service, our experienced barbers are not only experienced in cutting hair for small boys but also in interacting with them as well. We still are young at heart here and we understand that the occasional sweets to calm the nervous small client are necessary. Brusko Barbers has the special touch to make getting a haircut a pleasant experience and a bonding moment with the dads for the young ‘uns. We believe that moments like your little one’s first haircut is a momentous event. We pride ourselves on providing an environment where dads and their young ones can bond over hairstyles and cuts and make it an important tradition. Here at Brusko Brothers, we don’t just provide your usual haircut and grooming services. We strive to create a lifestyle and provide an avenue for fathers and sons to bond over small things and small talks. If you are thinking that your young ‘un is ready for his first haircut, visit our kid’s salon in JLT and treat yourself and your little one to a relaxing environment and amazing haircuts and styles.